We are winding down from Christmas decorations and I want to give a shout out to some of the best felting DIY blogs like “American Felt and Craft- The Blog”. They have the cutest patterns with instructions and I hope you get over there and give them a look see. 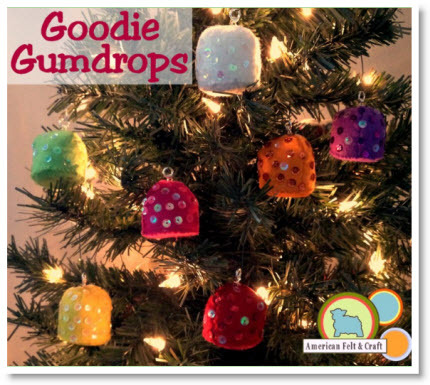 These are the cutest “Goodie Goodie Gumdrops Felt Christmas Ornament Tutorial” by” Andie.